Cafe G. is an independent kitchen and coffee house in East Dulwich, South East London. The most notable thing about Cafe G. is their pride and sense of belonging in the East Dulwich community; their 'about us' talks of how they inherited their premises from a historic local Electrical Engineering firm that had existed for four generations. The team have masterfully adapted the space into a place for all members of the community to meet, relax, eat and drink in style and comfort. Committed to sourcing ingredients and consumables sustainably, Cafe G. use locally roasted coffee to compliment their locally baked cakes and pastries. Throw in plenty of seating, mouth watering breakfast & lunch menus, an alcohol license and a team of diligent staff, and you'll just about get the gist of the place. 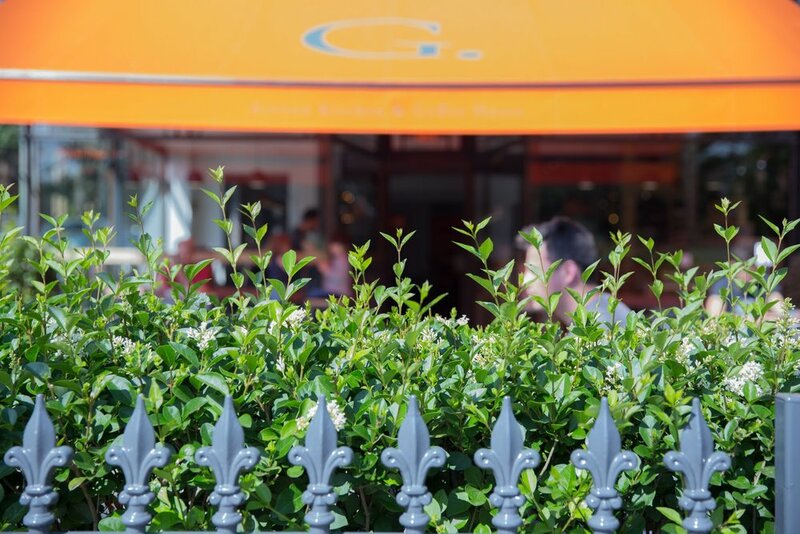 Open to people of all ages as well as to ideas on community events and local happenings, Cafe G. is a prime spot for all things deliciously local.